This Fall we are excited to have 108 students joining us for a total of seven shows!! All shows, with the exception of Hamlet, will be performed at Maple Ridge in Sunderland. The Starlight Board held its annual public meeting on September 29th at the Maple Ridge Community Center in Sunderland. In this meeting the outgoing Board President, Paul Stallman, presented our financials for the fiscal year, accomplishments for the year, and future goals. As has been the case for several years now, Starlight continues to operate with a positive balance at fiscal year end. Our sources of revenue continue to be grants/sponsorships, tuition, and ticket sales, while expenditures fall within the areas of administrative, production costs, and teaching stipends. 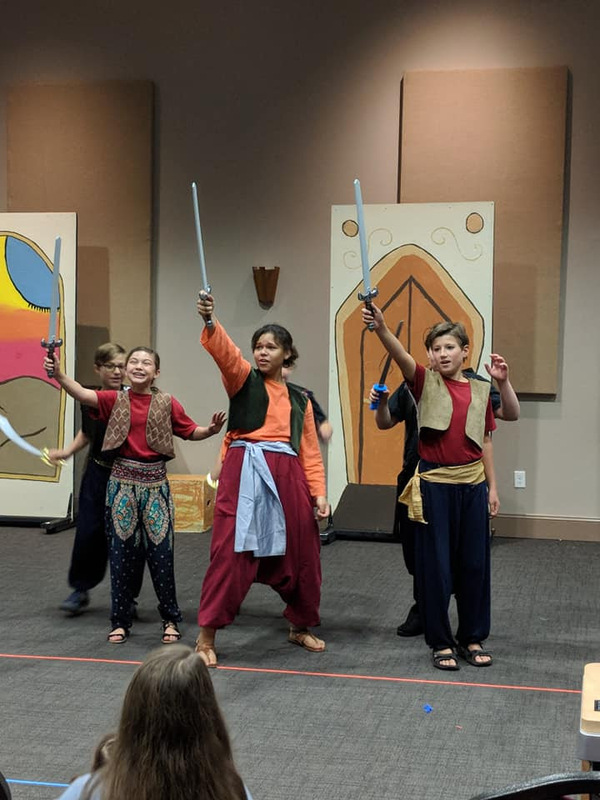 We remain dedicated to being fiscally responsible while continuing to provide the best opportunities we can for the children that participate in our programming and productions. 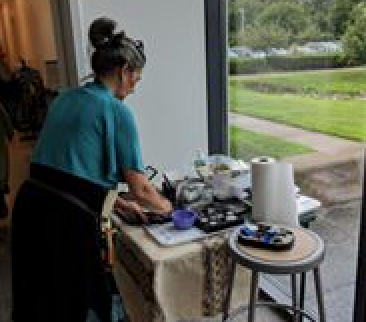 We rely heavily on the volunteer efforts of many people to keep Starlight running smoothly. Thank you! The Teen Advisory Board will continue working with Cyn Strycharz, founder and Artistic Director, as we go forward. This board provides a venue for selected students to share their ideas and give feedback to help us continue to provide the best programming. Additionally, these teens work under Cyn’s guidance to support the younger one’s productions in a variety of ways. Thank you to all the teens that have given their time toward these efforts! I’d like to thank Paul Stallman for his time as the Board President over these past three years. Paul gives so much of his time and technical skills to helping run Starlight. Thank you, Paul, for all you have done for us! Elections were held for three new positions on the Board. Going forward, Dan Mashia is our new Secretary; Pam Plumer, Vice President; and Tom Daughton, President. Clare Bertrand will continue as our Treasurer. Sold out shows at the Eric Carle for our summer season in 2017 and 2018. 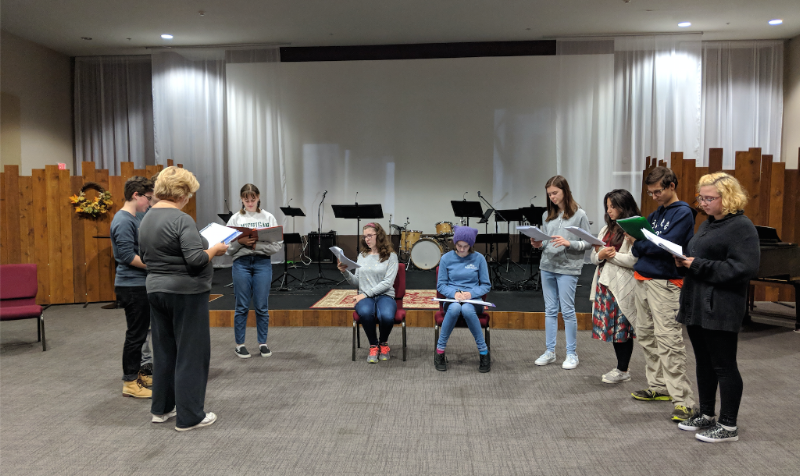 The teens stretched themselves in performing the Laramie Project in the fall of 2017. Our production of the Lion King, Jr. in the Spring of 2018 was spectacular at the Amherst Middle School with lots of new kids joining Starlight. And we really reached new levels performing our namesake the musical Starlight Express on roller skates at the Academy of music in May of 2018. Finally, we once again traveled to NYC to see a Broadway show, Once On This Island. A truly unique show and set that captivated all those who attended. I’m honored to have been elected the new Board President and look forward to all the future will bring for us at Starlight Youth Theatre! Register online starting Oct 15th!! 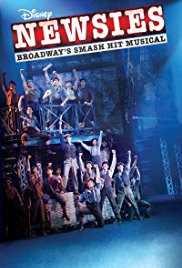 7th to 12th Graders – Starlight’s Youth Theatre is one of the first groups to be performing Disney’s Newsies since it has just been released for local and youth productions. Remember with Starlight’s everyone gets a part and everyone is important to the process. Classes will start in January and the shows will be in May 10th &11th 2019 at the Academy of Music. 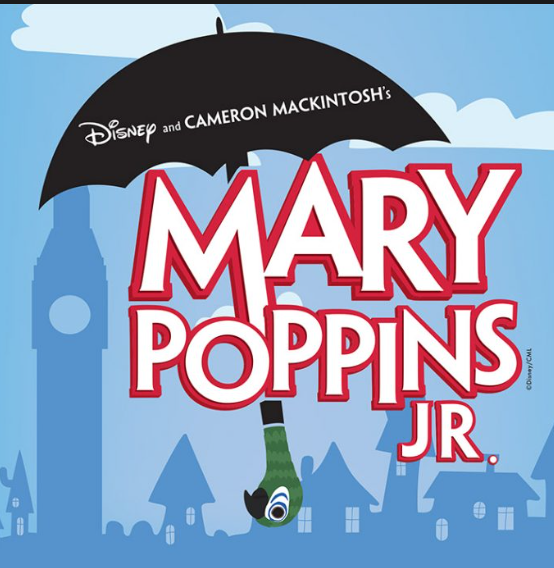 For Spring 2019, our youngest stars will be putting on Disney’s Mary Poppins, Jr. Classes start in January with an early April show at the Amherst Middle School. We will be doing 2 casts again this year, with a slightly different class schedule. Each cast will be limited to 50 students 1st grade to 6th grade. Starlight is a volunteer run organization and we are always looking for more help!! We have need of volunteers for costumes, set building, publicity and more. If you have a special skill or interest please let us know!! Starlight is always looking for ways to grow and strengthen the opportunities we provide to our young people. Donations go towards class & senior scholarships, workshops and performance space rental to name a few. If you are interested in making a donation or know an area business who might want to sponsor starlight, visit our website.